With incidents of global terrorism, anti-Semitism and hate activity on the rise, it might seem there's no better time for what officials of the Dallas Holocaust Museum/Center for Education and Tolerance have planned just a few blocks away from their current location. On Tuesday, they'll hold a groundbreaking ceremony for a new, greatly expanded facility that not only addresses the Holocaust but genocides and human rights struggles throughout history. 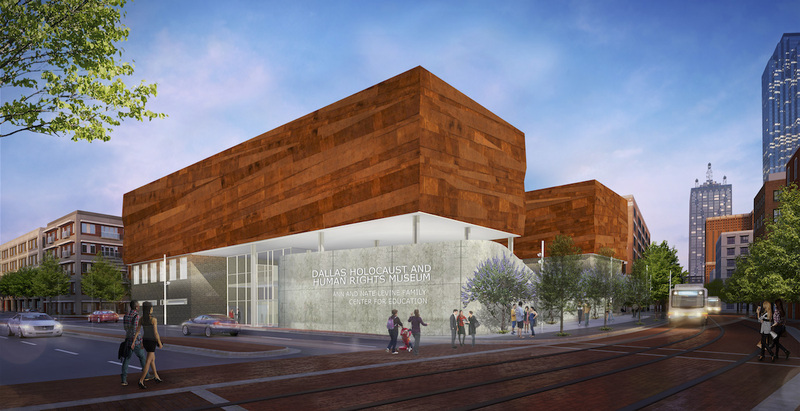 The makeover will also come with a new name: The Dallas Holocaust and Human Rights Museum. "We need a place that allows us to discuss human rights, diversity, respect for others and what that means for our city today," Mayor Mike Rawlings said in a news release issued by the museum. "The new Dallas Holocaust and Human Rights Museum will be that place." Set to open in 2019, the 51,000-square-foot complex at 300 N. Houston St. will be four times the size of the museum's current facility, which often reaches capacity. 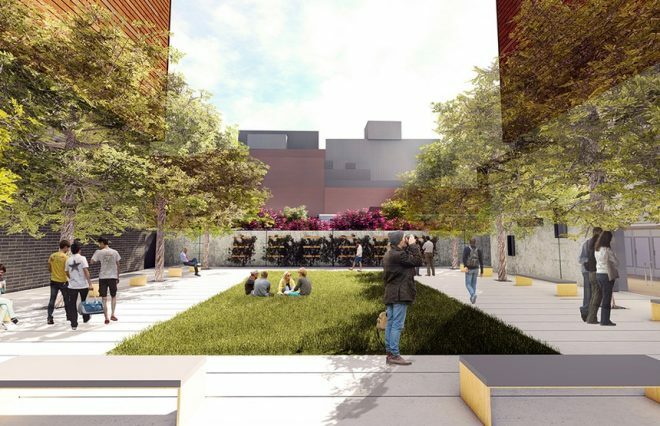 It will feature a 250-seat theater, two classrooms, courtyard areas for reflection and video testimonies from dozens of local Holocaust survivors, many of whom will be honored at Tuesday's 10 a.m. event. In addition, Rawlings is expected to proclaim Oct. 10 Dallas Holocaust and Human Rights Day. 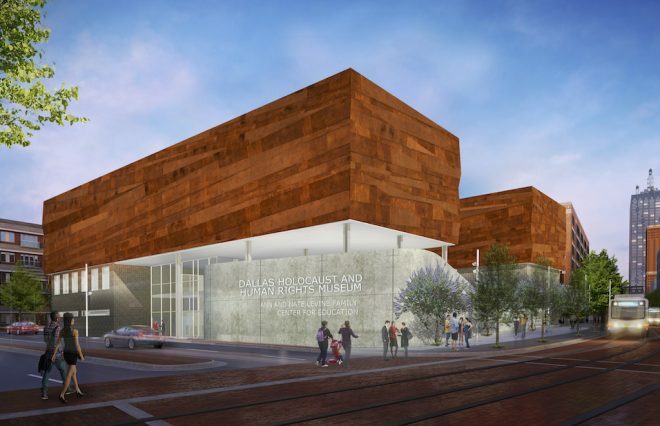 With a focus going beyond the Holocaust to encompass human rights in general, the Dallas Holocaust and Human Rights Museum will be unique among similar museums. A portion will highlight the ideals of the United States, which museum officials describe as "the greatest experiment in freedom, equality and human rights that civilization has yet produced." "It's about understanding the past, studying the present and changing the future," said Florence Shapiro, the former state senator who chairs the museum board. Officials estimate the new museum will draw 200,000 visitors annually, more than double last year's 83,000 guests. Half of them will be students, they say. The current facility "is totally inadequate for the number of students and visitors we get," Shapiro said. "There are times when people are lined up outside because we can only let in a certain number of people at a time." As an example, she noted a current exhibit highlighting the African-American experience during World War II. When a group of former Tuskegee Airmen came, the museum had to set up a monitor outside the area where they spoke to accommodate those who couldn't squeeze inside. "We have outgrown our facility," Shapiro said. 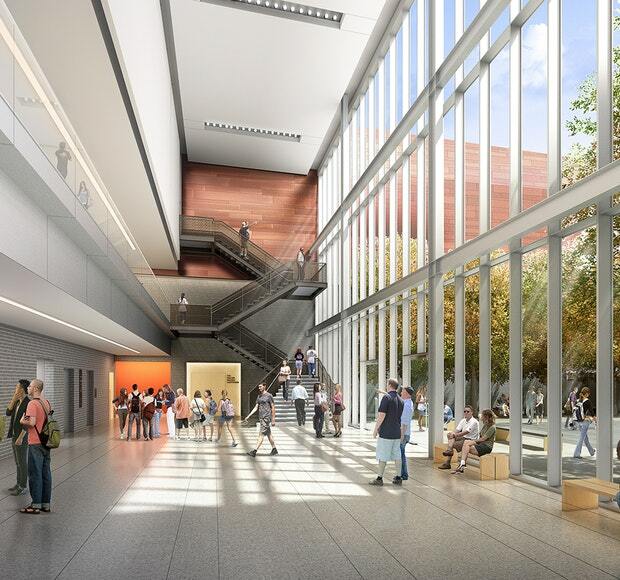 The new center is funded by a campaign that raised $61 million, including a $10 million gift from Ann and Nate Levine of Dallas. Officials hope to raise another $10 million to beef up educational programming, special exhibits, teacher training, student scholarships and tech upgrades. The site will be just a few minutes' walk from the museum's current West End location on South Record Street. Omniplan Architects of Dallas designed the facility. Visitors will be greeted with an introductory film examining questions such as "Why should I care about people in faraway places?" and "Why should I raise my voice?" 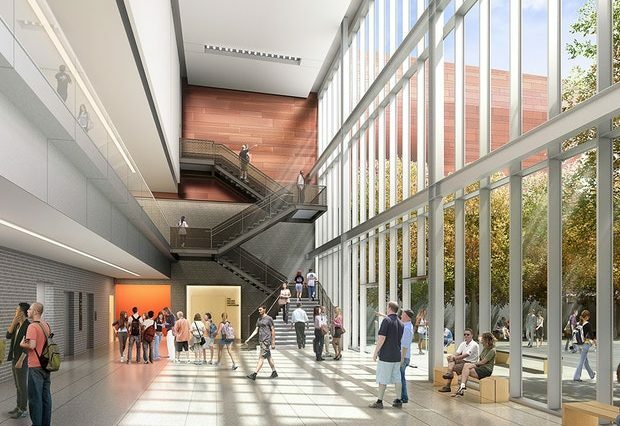 The permanent exhibit, on the third floor, will feature several wings designed by Berenbaum Jacobs Associates, whose founding partner, Michael Berenbaum, was project director of the U.S. Holocaust Memorial Museum in Washington. It begins with the geographically arranged Shoah/Holocaust wing, where the Germany exhibit will be "a visceral expose on Hitler's worldview" with quotes from his 1925 book Mein Kampf, a floor-to-ceiling model of Berlin's Brandenburg Gate and testimonies from DFW-area Holocaust survivors. Next, the Poland section, which will include an authentic World War II boxcar through which visitors must pass before entering a subsequent section focused on Nazi death camps. Highlights of the Human Rights/Genocide wing will include the Nuremberg trials and a look at genocides through history before visitors reach the Pivot to America wing, featuring an exploration of slavery, the Native American experience and civil rights. The current facility, which opened in 2005, began as a mid-1970s meeting of Holocaust survivors in Dallas who proposed a memorial and educational efforts to ensure their experiences were not forgotten. In 1984, the Dallas Memorial Center for Holocaust Studies opened in the basement of the Jewish Community Center. Officials hope the new facility will inspire people to be sensitive to and feel empowered to fight prejudice, hatred and indifference. Rawlings said the museum could be a place to discuss hatred's effects "and how we as a community, united by understanding and acceptance, can counteract a dangerous history."